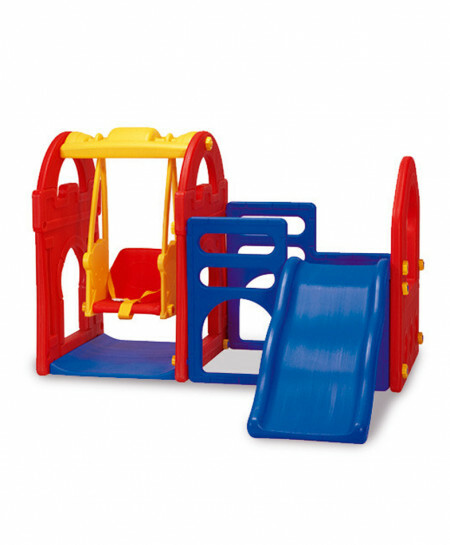 1 Playsets combined with a swing and a slide for fun extension. 2 Allow children of different ages to play together. 4 Easy lock-together assembly with nuts. This playset provides for hours of fun for your toddler. kids will love climbing up and sliding down. Sufficient space to play hide 'n' seek with mum and dad and at the same time #swing along at the other side. Definitely a fun filled experience not to be missed.